The organization did so too before, in battles alongside the Syrian army in the region of Talkalakh adjacent to North of Lebanon.Qalamoun region is considered as of strategic importance to Hezbollah, exceeding it being a strategic depth to the organization’s military system and a means to maintaining arms transfer. Qalamoun extends to being an atmosphere touching directly the Hezbollah masses on the social, economic and security levels. And while the level of the unrest was apparent in the Qalamoun region right from the outset of the Syrian uprising in 2011; the number and severity of security incidents has overwhelmingly developed intensely since the participation of Hezbollah militants in the fighting alongside the Syrian army. These incidents were concentrated specifically in the Lebanese regions surrounding the town of ‘Arsal, and in Beirut and its southern suburb where the stronghold of Hezbollah is. Of these incidents are the bombings of the Iranian embassy and of two cars in July-August 2013. And in a substantial development; armed clashes broke out between militants from ISIS and Hezbollah for the first time in Qalamoun (2) in 2014, which ultimately opens doors for yet upcoming dangerous military developments. Hezbollah carried out attacks against Israel, in 2006 war, throughadvanced military groups, safe underground, armed with necessary technology and weapons, and of flexibility in their mobility through a network of tunnels and well camouflaged bases. These techniques were overhauled to suit the Qalamoun battle, where the adversaries don’t strike from air or from tanks, but rather are groundmilitants armed to fight face-to-face. Thus Hezbollah developed a new tactic of administering small-to-medium sized fighter groups logistically enough armed to weather before receiving any backup. Hezbollah substituted its effective 2006 war tactic of advanced military small numbered groups, with a network of fortified and interlinked base points. Hezbollah resorted to preemptive measures; through counting heavily on surveillance operations, reinforced with drones to uncover the moves of the Syrian opposition militants, so to face them on the ground before they could carry out any offensive. In this period; the threat of the opposition’s role in Qalamoun is gradually increasing, because of the increase of ISIS militants’ number rapidly on the ground. 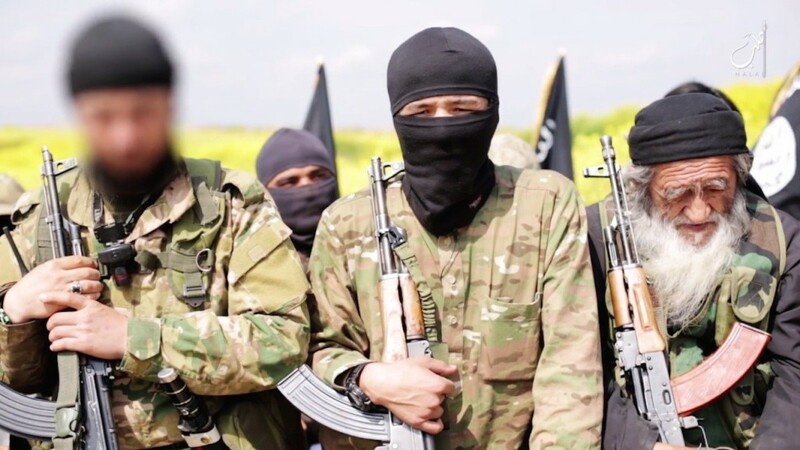 The most prominent of these militants is “Abu Hasan Al Filasteeni”’s group, the most powerful in Qalamoun. This danger remains of two sides; since ISIS’s presence in the region could spawn clashes within the armed opposition groups themselves, the likes of which had happened in December 2014 in the sporadic battles between ISIS and “Jayshul Islam” (literally: “the army of Islam”) in the Al-Mahsa region in Qalamoun, and between ISIS and the “free Syrian army” in the regions surrounding the town of Serghaya. The first: the last Zabadani battle, and its vitality in cutting off the road to Qalamoun, through both its Lebanese and Syrian paths; from the Syrian South where militant groups are present and are linked in a way or another with Israel. It is supposed that in case this road to Qalamoun is well secure for the opposition, then the strategic inventory of Hezbollah weapons will be seized by their opponents who will use these weapons to exhaust Hezbollah’s power. The second: this last battle would be considered a historic precedent of Hezbollah carrying out military operations outside the boundaries of the Lebanese state, with what this aspect harbors regarding the formation of a profound wariness toward the unity and destiny of the Levant. 1- See Hassan Nasrallah’s speech in May 2013 regarding Hezbollah’s involvement in Al-Qusair battle. 2-Aryn Baker and Rami Aysha, “Taking the Lead, Hizballah Girds for Key Syria 2-Battle on Assad’s Behalf,” TIME, November 7, 2013. 4- Isabel Nassief, “Hezbollah and the fight for control in Qalamoun,” Institute for the Study of War, ISW Syria Blog, November 26, 2013. http://iswsyria.blogspot.com/2013/. 5- Regarding Hezbollah’s techniques in Qalamoun’s battle see: Nicholas Blanford, “Slow drip offensive underway in Qalamoun,” The Daily Star, October 25, 2013. 6-Syrian Jets stike the mountains of Al-qaa and Ras Baalbek, Al-mayadeen Tv, Jan 1, 2015. 7-Matthew Levitt, “The Hezbollah Connection in Syria and Iran,” Council on Foreign Relations, February 15, 2013. 8- Will Fulton, Joseph Holliday, and Sam wyer. “Iranian strategy in Syria,” AEI’s critical threats project & Institute for the Study of War, USA. May 2013.